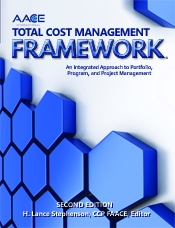 Total cost management (TCM) is the effective application of professional and technical expertise to plan and control resources, costs, profitability and risk. Simply stated, TCM is a systematic approach to managing cost throughout the life cycle of any enterprise, program, facility, project, product or service. The TCM Framework is a representation of that systematic approach. The TCM Framework is a structured, annotated process map that explains each practice area of the cost engineering field in the context of its relationship to the other practice areas including allied professions. It provides a process for applying the skills and knowledge of cost engineering. A key feature of the TCM Framework is that it highlights and differentiates the main cost management application areas: project control and strategic asset management.